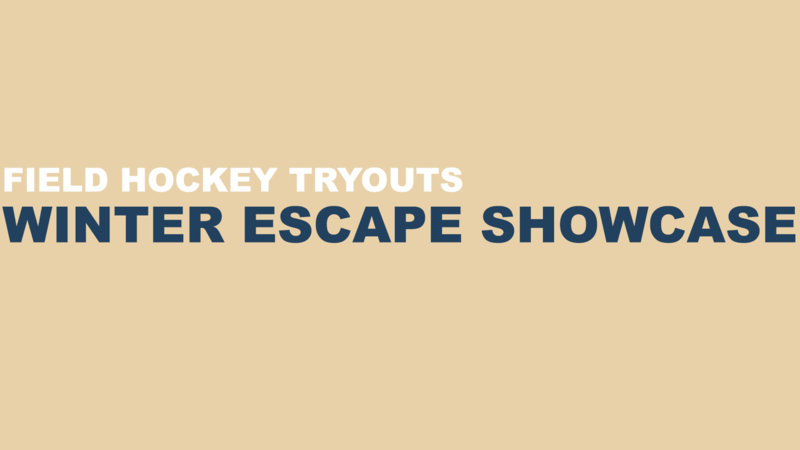 We are excited to announce that for the first time ever we will be sending a team to the Winter Escape Showcase! As a coaching staff, we feel that it is one of the best recruiting showcases of the year because it coincides with the National Field Hockey Coaches Convention which is attended by college coaches. NFHCA Top Recruit events have been created by the NFHCA and its member college coaches to streamline the recruiting process and make it more effective and affordable for both the college coach and the prospective student-athlete. Last year there were over 250 college coaches watching from all three divisions! We encourage athletes who are interested in playing at the collegiate level to consider trying out for this opportunity. College coaches like to see athletes participate in events of this caliber, and this year we will be sending ONE TEAM to represent our Seacoast United Hampton location! Plus this is a great excuse and opportunity to get away from the cold New England and enjoy some Florida sunshine. Tryouts will be held on Saturday November 3rd at our Outdoor Epping Complex, and will run from 8:00-9:30am. These tryouts are open to any players who are in the graduation years 2019-2022, who are interested or will be playing at the collegiate level. Tryouts are OPEN to club and non-club members, and we are very excited about the amount of players we have interested in participating this year! The Seacoast United Outdoor Complex is located at 88 Shirkin Rd., Epping NH 03042. The Winter Escape Showcase takes place at the Boombah Sports Complex in Sanford, FL over the weekend of January 18-20, 2019. Teams are guaranteed FIVE 50-minute games (2x25 min halves). Format is 11v11 and played on turf at this 9-field complex.